Super Cheap Japan is the ultimate budget travel guide to Japan, full of the most useful, up-to-date information for a cheap holiday in Japan. With extensive tax-free shopping, crazily discounted train passes and an unbelievable exchange rate, there has never been a better time to visit. Unlike other guides, this book shows you exactly how, where and when you can save money. Go shopping for $4 clothes in Tokyo, enjoy inexpensive hikes in Nikko, or visit Kyoto's beautiful shrines and gardens on the cheap; all with this super helpful guide. 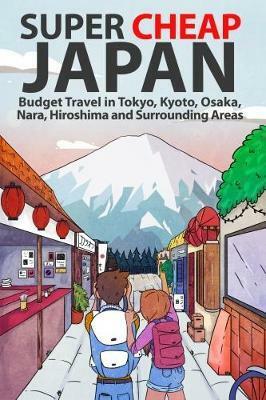 This book is perfect for backpackers, budget travelers, families on a tight budget, students and those who are new to Japan. Get the most out of this amazing country, without burning a hole in your wallet! Also consider Super Cheap Hokkaido (ISBN 978-1-9131140-0-8) for Sapporo and the Hokkaido prefecture and Super Cheap Tokyo (ISBN 978-1-9998100-5-4) for the capital and Kanto region.